Mi Vida Loca is resistance art. It is about Chicano culture in the United States. Inspired by Chicano street art. 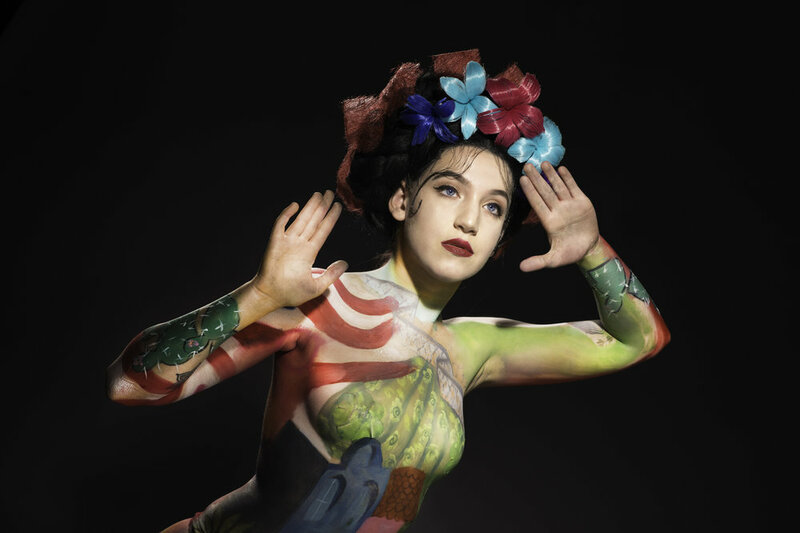 The body painting was finished by hand and by airbrush. Tattoo transfers, that I drew on Photoshop, were used for small detailed designs.